When compared to other resort towns throughout the country, Blowing Rock, North Carolina is definitely in a league of its own. This charming spot nestled in the Blue Ridge Mountains is a mountain town that has made a name for itself. The unparalleled beauty of the town was celebrated well before the accolades came. If you’re interested in houses for sale within one of the “prettiest small towns,” you’ve come to the right place. You aren’t alone either. Both visitors and residents revel in the atmosphere year-round. Blowing Rock is enjoyed as the site for a summer vacation destination, a winter retreat, a permanent residence, even a day trip. With an inviting Main Street filled with local shops, boutiques, and eateries to Appalachian Ski Mountain, there is plenty of fun to be had. The properties for sale that are scattered across its parameters and beyond include some of the most desirable in all of NC. The Mountain Group at Premier Sotheby’s International Realty loves helping buyers, and sellers too, who are on either side of the Blowing Rock housing market. We feature a comprehensive list of the area’s real estate and utilize our superior connections and vast knowledge to implement the right real estate solution for every client. Whether you seek a new place to live or a vacation house with a view of the valley, our team is comprised of experienced realtors who can find precisely the property you desire, and that is just the beginning. 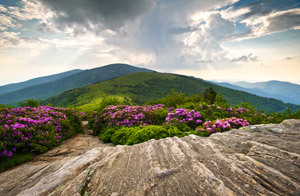 Western North Carolina is an exceptionally rewarding place to live, Blowing Rock especially. Distinguished schools, recognized health care, and infinite outdoor recreation offer just a glimpse into the lifestyle. Blowing Rock is home to restaurants, art galleries, parks, and attractions that people of all walks will appreciate. Above all, it’s one of the best towns for real estate investing. 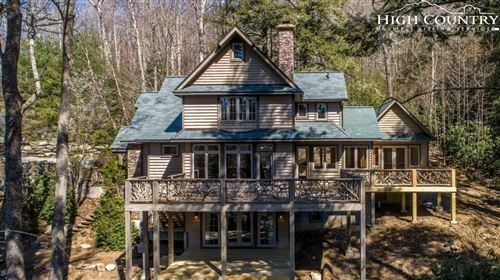 Browse the houses for sale and pursue your dreams in Blowing Rock, NC.